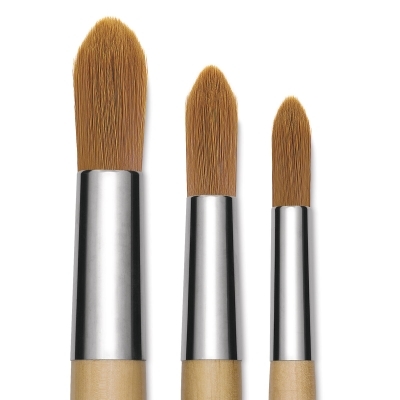 Blick Mega Brushes are perfect for big projects. Our Golden Taklon brushes contain a reddish-gold filament resembling Red Sable. Dyed and baked to make them softer and more absorbent, the filaments are exceptionally easy to clean. 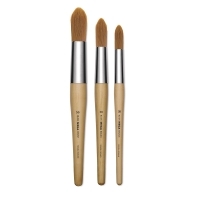 These brushes are a great choice for oils and acrylics because they withstand the caustic nature of solvents and acrylic paints better than brushes made using animal hair.